What’s the best part about Thanksgiving? Sorry, that was rhetorical. Clearly, there’s only one correct answer and that is: Devouring reimagined leftovers for days to come. Hot turkey sandwiches smothered in gravy. Fried stuffing bites drizzled with cranberry sauce. Turkey a la king. Turkey noodle soup. Turkey pot pie. Turkey … everything. For content marketers, every day can be Thanksgiving. You have no shortage of content ingredients on-hand—from tasty influencer tidbits to assets overflowing with insight and flavor. And with a dash of new content, a cup of creative planning, and a large dollop of strategy, you can repurpose “content leftovers” into deliciously satisfying meals for your audiences, all while reducing production time and boosting efficiency, and without sacrificing taste. #1 – Take a peek in your existing content pantry for inspiration. From white papers and eBooks to blog posts and original or third-party research, if there’s one thing that every content marketer has in spades, it’s a fully stocked content pantry. But like any pantry, as more items get added, many delicious essentials get pushed to the back and start collecting dust. So, throw open your content cupboard and dig into your full stock of assets for inspiration. Dive into the data to draw insight into which content items are being devoured whole, which are being picked at, and which have gone stale. All of that content—fresh or seemingly expired—has the potential to be carved into something new and fresh. Get the recipe for Repurposed Content Cobbler. #2 – Review your guest list. The yum-factor of any delicious leftover dish is in the “eye of the beholder”: the taste buds of your dinner guests. And that means that any good host needs to thoughtfully consider who they’re cooking for to avoid leaving a bad taste—or prevent an allergic reaction. For marketers, the success of your content hinges on your ability to create something that resonates with your audience. When a piece of content connects with a customer or buyer, it makes them feel like you get it, that you understand their point of view or struggle, that you hold the answers to their questions—and that you may be worth dining with on a regular basis. So, before slicing and dicing or investing in new ingredients, make sure you understand who you’re inviting to dinner and what they’re hungry for. #3 – Plan your menu. Once you’ve consulted your content pantry and finalized your guest list, it’s time to create your strategic menu. Whether you’re planning a social hour featuring light appetizers or a fancy, sit-down feast, map and document your strategy, namely your content mix (e.g. blogs, eBooks, static or interactive content, influencer content) and amplification plans (e.g. 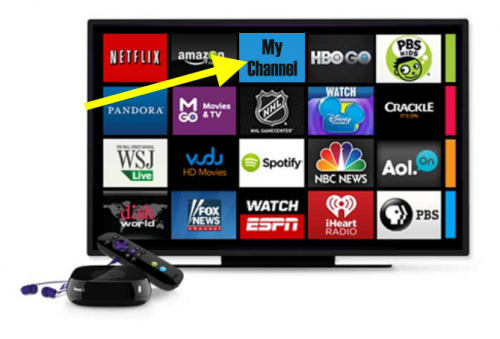 social and third-party channels; organic or paid promotion). One tasty menu item to consider is influencer content. Whether you have a collection of influencer insights in your pantry or you’ll need to shop around, influencers can add sweet and savory flavor to bolster your story and strategy, and help with amplification. As always, determine how you’ll track and measure performance. This will help you understand if your leftovers were love at first-bite, or could use a little extra seasoning to punch the flavor up. Also, if you’re making something from scratch—like a brand new campaign—think critically about how all of your ingredients will lend themselves to repurposing, as well as how the content you already have can add some nice flavoring. #4 – Pick up missing ingredients. The key to effectively repurposing your content marketing leftovers is adding something new to make it unique. You don’t want to simply rearrange content on the dinner plate. One of the best ingredients you can add to your content dish is personalization, according to our own CEO, Lee Odden. For example, each week TopRank Marketing curates interesting news tidbits from around the industry to help our readers stay on top of the latest news, trends, and best practices. But to add a little personalization and spice, the talented Tiffani Allen and Josh Nite record a video segment featuring some of the top news items of the week. #5 – Slice, dice, and spice your leftovers. You know who you’re inviting to dinner. You’ve scoured your pantry, made your menu, and assembled your missing ingredients. Now it’s time to slice, dice, spice, and cook up your leftover dishes. It’s time to create. The beauty here is that you’ve been able to streamline your cookline. But whipping up all the deliciousness doesn’t need to fall on one chef. Get multiple cooks in the kitchen to ensure your content is cooked evenly and with the necessary flair to delight your guests. Certainly, you’ll be leveraging your internal subject matter experts and writers to get work done. But, of course, you can always invite a guest chef—like hiring a digital marketing agency partner—into the content creation kitchen to get some extra support or cater the entire meal. In addition, don’t be afraid to experiment with your ingredients. Use the resources and knowledge you have, as well as your creative spirit, to do something totally different, even if it’s a little risky. #6 – Reheat and feast. Your dishes are prepared, and now it’s time to heat and serve to your audience. But now is not the time to hit publish, schedule a few social messages, and move onto the next recipe. In order to whet your audience’s appetite, consistent, well-timed, ongoing promotion is critical. But once the content rolls out, you may need to add extra salt and pepper to taste. Send an email to your list. Optimize for organic search. Syndicate your content to industry associations. Leverage paid social or paid search promotion. There are dozens of amplification tactics that can broaden your reach and results. You’re under constant pressure to create timely, quality, relevant content for your audience. But that content doesn’t have to be net-new to effectively inform, engage, and inspire audience action. Your content pantry already has many of the ingredients you need to whip up a fancy feast that will satisfy your audience’s appetite for answers and delight their taste buds in a way that’ll have them asking for seconds. 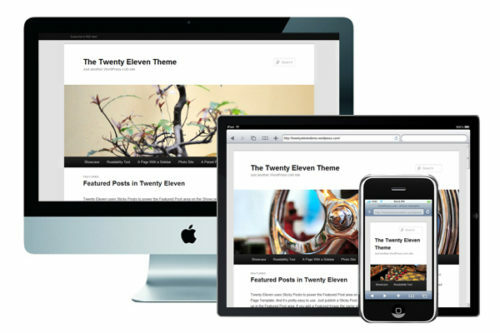 Get started by taking inventory of your existing content assets and their performance. From there, make sure your audiences are clearly defined, so you can map refreshed content to them during the menu planning stage. Then, determine how you’ll season your dish with new insights and spins to take you into the content creation phase. Finally, once your dish has been constructed, leverage multiple amplification tactics on an ongoing basis to ensure you’re giving as many people as possible the opportunity for a taste test. When done right, content repurposing is a useful marketing hack. But it most certainly shouldn’t be looked at as a shortcut. Get insight on five content marketing shortcuts you should avoid at all costs. 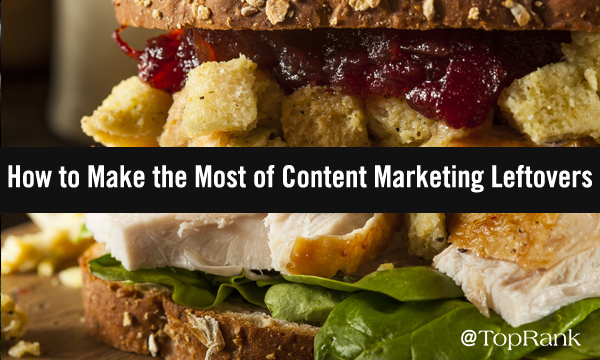 The post 6 Steps for Making Delicious Meals Out of Your Content Marketing Leftovers appeared first on Online Marketing Blog – TopRank®.